Since the failed coup attempt in Turkey of July 15 there has been much speculation in western media that it in fact was all engineered by President Recep Tayyip Erdoğan to provide him with the pretext to impose emergency rule and to jail any and all opposition to his rule. At this point evidence still suggests that that was not at all the case. Rather, as I wrote at the time when it was clear the coup attempt was collapsing, it was a coup initiated by the CIA acting through their primary asset inside Turkey, the networks of their fugitive Turkish asset Fethullah Gülen. When we examine more closely “what” is Fethullah Gülen he is anything but the grandfatherly image of a 75-year-old soft-spoken Islamic moderate, scholar and Imam. His networks have been called the most dangerous in Germany by Islamic experts and have been banned in several Central Asian countries. Now, too, in Turkey. What’s becoming clear is that the failed coup was in fact a dry-run, a dress rehearsal by Gülen’s controllers in Langley to see how Erdogan would react, in order to recalibrate and prepare for a more serious attempt in the future. 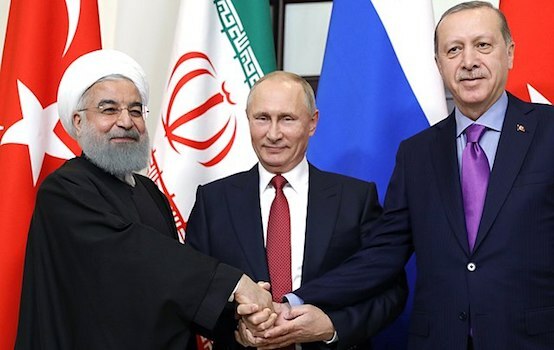 Washington was not at all happy with the foreign policy turn of Erdoğan turning to reconcile with Russia and possibly also with Syria’s Assad. It was called the Fethullah Gülen Movement, also known in Turkish as Cemaat, or “The Society.” Their focus was Hizmet, or what they defined as the “duty of Service” to the Islamic community. Curiously enough, the Turkish movement was based out of Saylorsburg, Pennsylvania. There, its key figure, the reclusive Fethullah Gülen, was allegedly busy building a global network of Islam schools, businesses, and foundations, all with untraceable funds. His Gülen Movement, or Cemaat, has no main address, no mailbox, no official organizational registration, no central bank account, nothing. His followers never demonstrated for Sharia or Jihad—their operations were all hidden from view. After leading a series of brilliant military campaigns in the 1920s to win the Independence War after World War I, Kemal Ataturk established the modern Turkish state. He launched a series of political, economic, and cultural reforms aimed at transforming the religiously-based Ottoman Caliphate into a modern, secular, and democratic nation-state. He built thousands of new schools, made primary education free and compulsory, and gave women equal civil and political rights, and reduced the burden of taxation on peasants. The three CIA people supporting Gülen’s Green Card application in 2007 were former US Ambassador to Turkey, Morton Abramowitz, CIA official George Fidas and Graham E. Fuller. George Fidas had worked thirty-one years at the CIA dealing, among other things, with the Balkans. Morton Abramowitz, reportedly also with the CIA, if “informally,” had been named US Ambassador to Turkey in 1989 by President George H.W. Bush. Sibel Edmonds, former FBI Turkish translator and “whistleblower,” named Abramowitz, along with Graham E. Fuller, as part of a dark cabal within the US Government that she discovered were using networks out of Turkey to advance a criminal, “deep state” agenda across the Turkic world, from Istanbul into China. The network reportedly included significant involvement in heroin trafficking out of Afghanistan. Graham E. Fuller, the third CIA “friend” of Fethullah Gülen, had played a key role in the CIA’s steering Mujahideen and other political Islamic organizations since the 1980s. He spent 20 years as CIA operations officer in Turkey, Lebanon, Saudi Arabia, Yemen, and Afghanistan and was one of the CIA’s early advocates of using the Muslim Brotherhood and similar Islamist organizations to advance US foreign policy. “Gülen’s charismatic personality makes him the number one Islamic figure of Turkey. 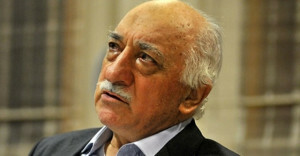 The Gülen Movement has the largest and most powerful infrastructure and financial resources of any movement in the country… The movement has also become international by virtue of its far-flung system of schools…in more than a dozen countries including the Muslim countries of the former Soviet Union, Russia, France and the United States. By the mid-1990s, more than seventy-five Gülen schools had spread to Kazakhstan, Tajikistan, Azerbaijan, Turkmenistan, Kyrgyzstan, Uzbekistan, and even to Dagestan and Tatarstan in Russia amid the chaos of the post-Soviet Yeltsin era. 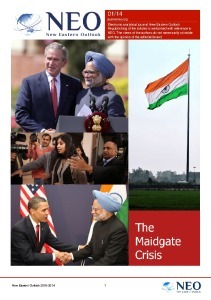 In 2011, Osman Nuri Gündeş, former head of Foreign Intelligence for the Turkish MIT, the “Turkish CIA,” and chief intelligence adviser in the mid-1990s to Prime Minister Tansu Çiller, published a book that was only released in Turkish. Gündeş, then 85 and retired revealed that, during the 1990s, the Gülen schools then growing up across Eurasia were providing a base for hundreds of CIA agents under cover of being “native-speaking English teachers.” According to Gündeş, the Gülen movement “sheltered 130 CIA agents” at its schools in Kyrgyzstan and Uzbekistan alone. More revealing, all the American “English teachers” had been issued US Diplomatic passports, hardly standard fare for normal English teachers. Today Gülen’s spider web of control via infiltration of the Turkish national police, military and judiciary as well as education is being challenged by Erdogan as never before. It remains to be seen of the CIA will be successful in a second coup attempt. If the model of Brazil is any clue, it will likely come after a series of financial attacks on the Lira and the fragile Turkish economy, something already begun by the rating agency S&P.